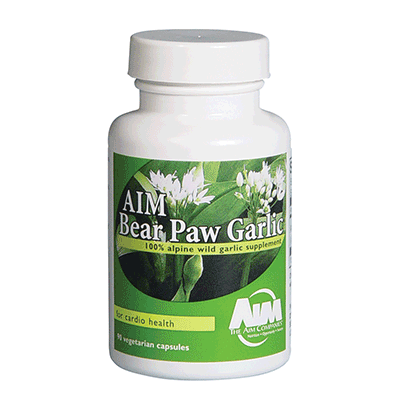 AIM Bear Paw Garlic® is made from the leaf of A. ursinum, a wild garlic plant found in Europe. This unique garlic, also known as alpine wild garlic, has more ‘active’ garlic substances, including allicin as well as substances not found in ‘cultivated’ garlic. (Bear Paw Garlic is not made from the bulb as other garlic supplements.) Bear Paw Garlic also contains vital peptides, flavonoids, and fructanes for improved health.